Get ready for the party season with this fun Twixmas break, a perfect getaway before the New Year. Arrive, relax and enjoy the hotels leisure facilities before meeting up with our group for a drink, dinner and a fun and lighthearted quiz. 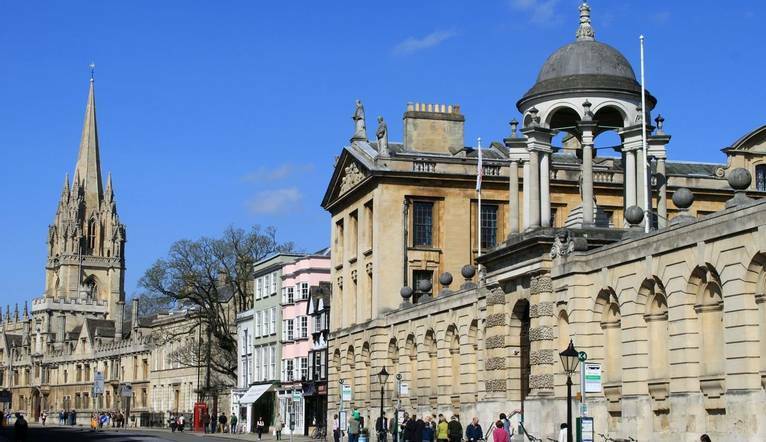 The following day takes us to the beautiful university city of Oxford for a guided tour before our exclusive dinner dance where we can eat, drink and dance the night away! Set in 17 acres of stunning gardens and grounds, The Oxford Belfry is a four star hotel in Oxfordshire that provides a perfect base for our Twixmas leisure break. This hotel offers a contemporary restaurant and less formal brasserie style bar. Leisure facilities include a spa, gym, indoor swimming pool, steam room and sauna. WIFI is also available throughout the hotel. The Oxford Belfry is located near to Thame. If you are driving from the south the hotel is a few minutes’ drive from Junction 7 of the M40. If you are travelling from the north please use Exit 8A. The hotel offers complimentary car parking. Haddenham and Thame Parkway Station is approximately 10 minutes drive from the hotel. Oxford Station is approximately 30 minutes drive from the hotel.